I was lucky to once spend a couple of months living in Singapore and since than it is always there at the back of my mind as a place I'd love to once move to. Food is one of the reasons and an important one. In addition to Singapore's own amazing flavors you can get great quality food from all over the South East Asia and China so easily and so inexpensively. There are many dishes Singaporeans consider "their own". These mainly have to do with hawker food culture and for them Singapore has its unique style (even if long ago they originated from China, Malaysia or somewhere else). The best source of information about these for me was I eat I shoot I post blog. Of course Singapore has way more to try than I covered over two months, but I still tried a lot and I have my personal favorites, which I'm sharing here. Geylang overall is the area to try best Singaporean food in a very local atmosphere of the old town. Apart from the fruits I'd definitely go for the frog porridge. I know how this sounds, don't get scared right away. 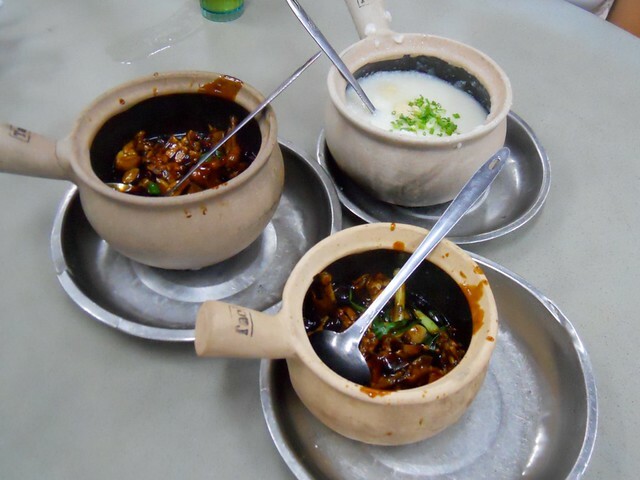 Frog porridge is frog meat in delicious spicy gravy served with rice conge. This way of preparing frog meat makes it taste very different from the French way I was more accustomed to before. Our preferred place for frog porridge was G7 Sinma Live Bull Frog. The next absolutely stunning thing is crab. That's the first thing to go for in Singapore seafood restaurants. Crabs are enormous in size, so if there are not too many of you, ask for a small one (this will weigh around a kilo). 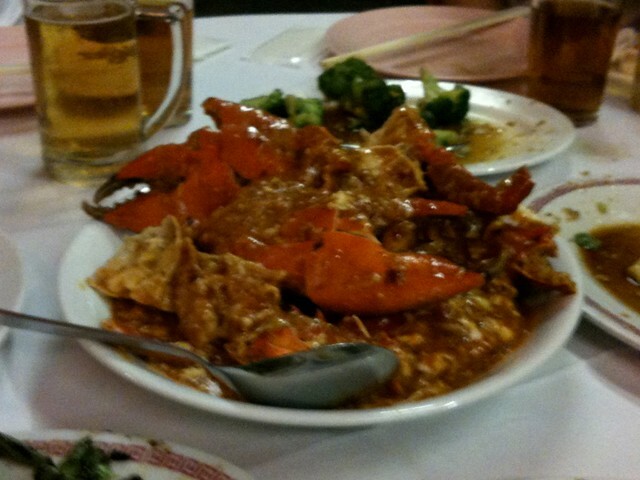 Most popular dish is chilli crab, which is also my favorite. The whole cooked crab (shell cracked) will be served to you in lots of delicious red spicy chilly sauce. Deep fried little buns are a traditional complement and are very advisable. Black pepper crab and white pepper crab are also very much worth trying. If you will be looking to try more seafood pay attention to geoduck. Looks terrifying, but be adventurous. My favorite place to have seafood was East Coast Seafood center and Jumbo restaurant in particular. There is also a lovely outdoor food court nearby to have a fresh / coconut or dessert afterwards. Other option is No Singboard Seafood restaurant, which is on a more expensive side, but absolutely delicious. 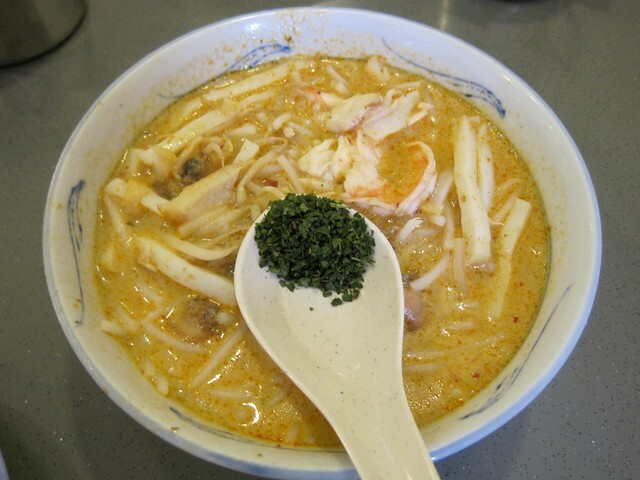 Laksa is on of the dishes Singaporeans consider "their own". Laksa also exists in Malaysia, but Singaporean variety has its unique style. This noodle in delicious spicy coconut gravy really is amazing. You will find it in many places, but if you ask me the very good laksa is worth traveling for. The best laksa I got to try was at 328 Katong Laksa (51 East Coast Road). When you get local enough to eat Singaporean for breakfast, make sure you try the kaya toast with milk tea. I quickly started to appreciate kaya toast, which is white bread fresh and warm toasts with melting salted butter and kaya (a kind of egg yolk jam). The tea is also very special. It is prepared of strong black tea with sweetened condensed milk and is completely addictive. 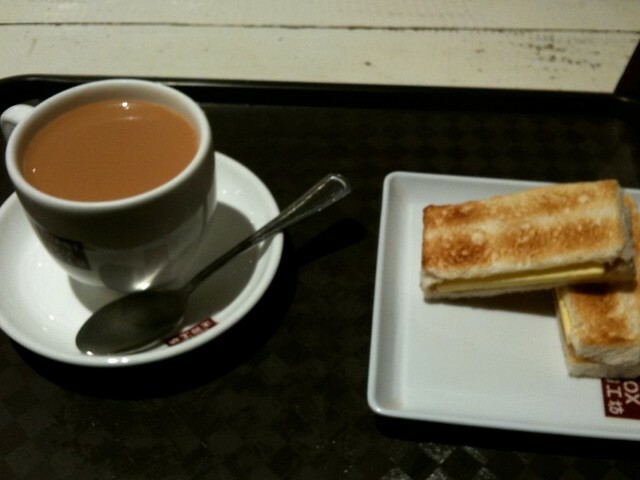 There are several local coffee shop chains which serve the kaya toast and you can try it anywhere. My favorite one was at Toastbox. 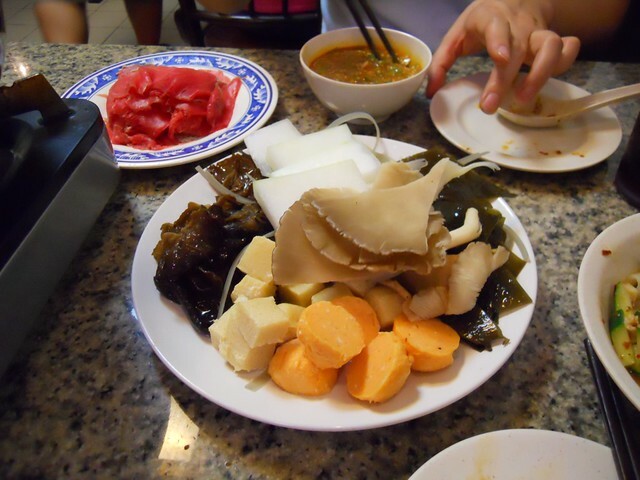 Apart from authentic Singaporean foods there is way more to try in Singapore. 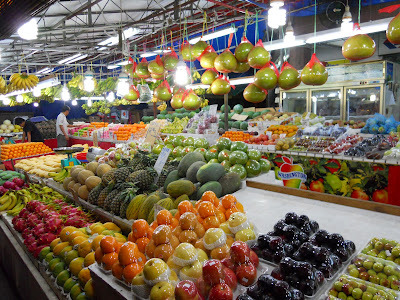 This city has great quality food from all the East and South East Asia and more. Singapore China town was one of my favorite places to spend an evening. 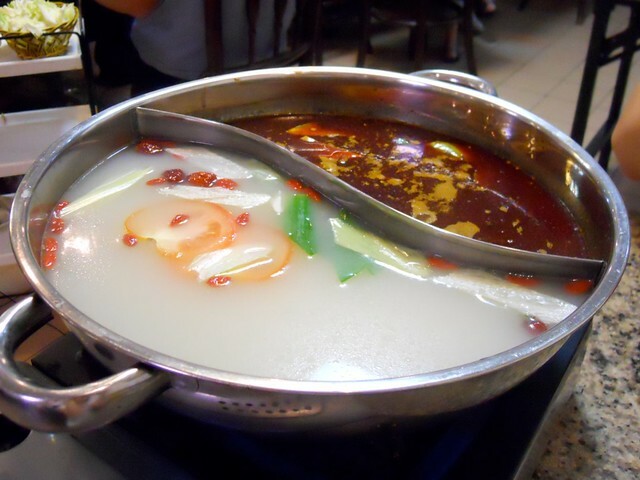 Especially so because of hot pot, which is a kind of Chinese DIY food. You sit at a table with a pot of stock boiling over a burner. Then you pick the ingredients you'd like from a long list of different kinds of meat, fish, seafood, sea weeds, noodles etc. Then you assemble a sauce for yourself (based mainly on sesame paste and sesame oil with optional soya, spices and greens). We liked the place in the picture below (can't tell the exact address unfortunately) and the one right next to it. Other things to try in China town are mango shaved ice at Mei Heong Yuen, bubble tea and definitely foot massage. Two more Chinese restaurants we really enjoyed (suitable for a full blown dinner) were Ka Soh fish head (Cantonese) and Hua Zhu. Orchard road is a key shopping street in Singapore and it has a lot to try food-wise. 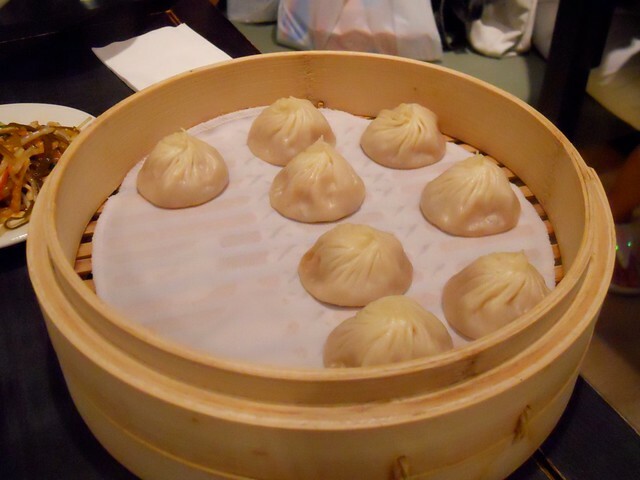 Din Tai Fung restaurant is famous for Xiaolongbao (incredible Shanghainese soupy dumplings). If you have to wait in line before getting seated don't get upset. The restaurant is very popular and the dumplings are worth it. 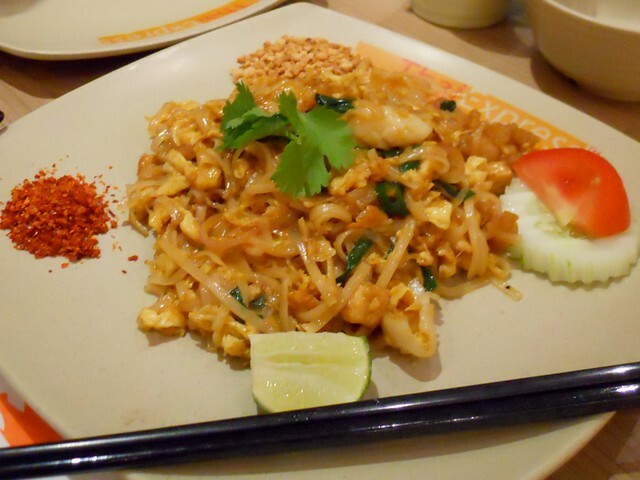 ThaiExpress serves thai food adapted to Singaporean style. Though it is not authentic thai I really enjoyed their phad thai, green curry and tom yam. Their avocado shake is also amazing. I also have to mention P.S. Cafe, which is a lovely british place, especially for brunch. Their teas, cakes and puddings are extremely good. 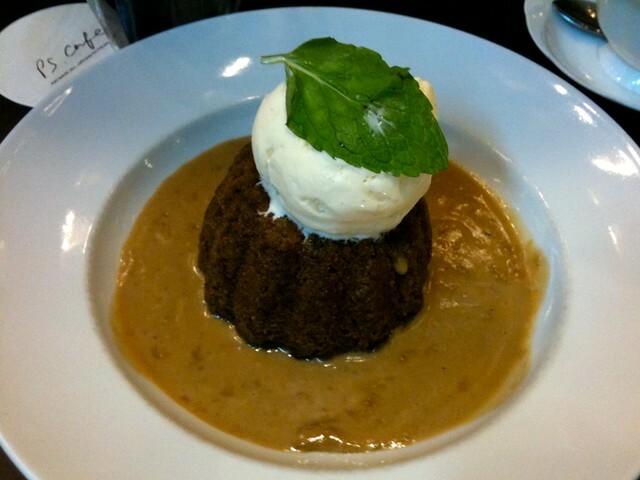 Ginger steamed pudding served with warm ginger sauce and vanilla ice-cream is especially worth trying. If you are in the Orchard area, consider visiting the gastronomical floors at ION shopping mall (Food opera) and at Takashimaya (basement 2). They can turn out full of discoveries. Little India is a whole Indian town inside Singapore, which is nice for a walk, shopping, Indian sweets (e.g. at Big Bites) and a dinner, especially at one of the pure vegetarian restaurants. Another national area to visit is Malay-Arabic quarter. I really enjoyed some of the cooking lessons I took in Singapore. It has a lot to offer in terms of both insights and enjoyment. At At Sunrice GlobalChef academy I learned to cook some of the Malaysian food. 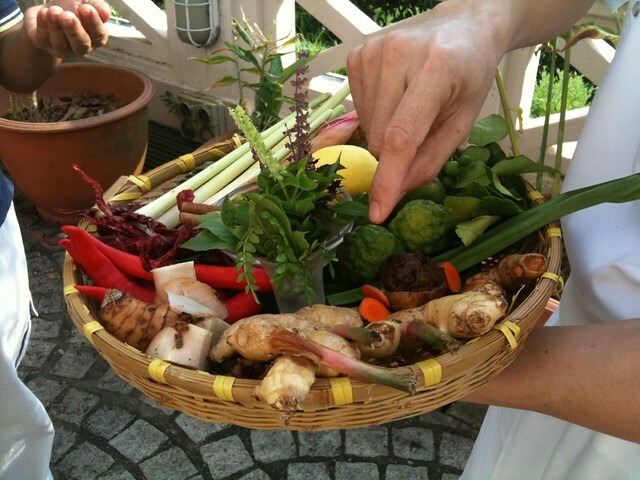 The lesson included a guided walk through the school's spice garden, where we could see how almost all the fresh spices used in Asian cooking grow. Then we made a whole lunch with otak otak (spicy fish grilled in banana leaves), turmeric rice, sambal kang kong (greens with chilli paste) and sago pearls pudding. 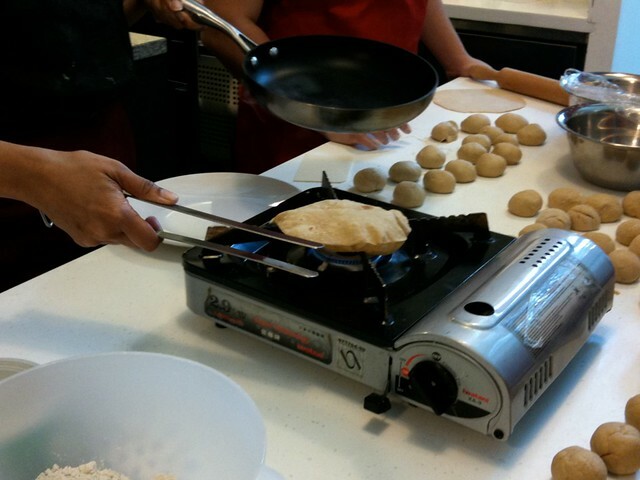 Another great lesson I took at Palate Sensations, where we learned to make Indian bread. It was a lot of fun and felt like magic when after some 3 hours I was able to bake all of my favorite breads (roti, paratha, poori, chapati and naan) myself. You've been to some pretty amazing places and tried stuff I wouldn't have the nerve to. I do envy you the chance to learn how to make all those different Indian breads though. Luckily I live close enough to a place where I can buy them fresh or frozen so I don't have to be deprived. Ahhh, I dunno where to start at this post. And the naan... turkish cuisine has a similar bread, which we just made a few days agao, that tastes so go when fresh made. oh, cool! respect)) I've been so lazy lately... I should make some bread too!